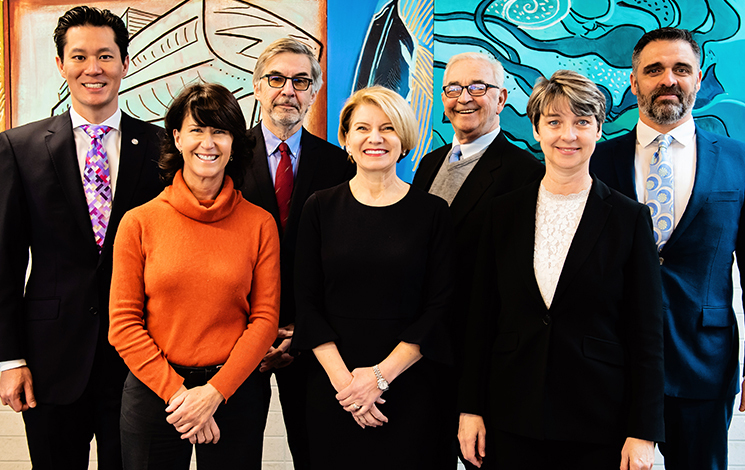 West Vancouver Council is the elected decision-making body for the District and is comprised of the mayor and six councillors. The mayor is the chief executive officer. Under the Local Government Act, Council sets budgets, levy taxes and establishes policies to guide the growth, development and operation of the District. Council contact information is listed below. There is also a group email address for all Council members. If sending a group email, please include your complete postal mailing address for our communication records. Holding both Commerce and Law degrees from the University of British Columbia, Mary-Ann practised law for almost 20 years, including positions as a civil litigator, business law lecturer, Provincial crown prosecutor and in-house counsel. Mary-Ann has been appointed by her Council to the Board of Directors of Metro Vancouver, is the Chair of the Aboriginal Relations Committee and serves on the Intergovernmental & Finance and the Mayors' Committees. Craig Cameron first joined Council in 2011 and was re-elected in 2018 for his third term as councillor. Craig spent the formative years of his childhood in West Vancouver and returned to the community to raise a family. He lives with his wife, artist Cori Creed, and three young children in a house that he built in Ambleside. Craig and his family are active members of the community and his children attend Ridgeview Elementary. 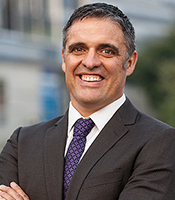 Prior to being elected, Craig served as a Director of the West Vancouver Community Centres Society and a member of West Vancouver's Community Engagement Committee. He has a degree in Urban and Environmental Geography from the University of British Columbia and a law degree from the University of Victoria. He also studied International Law at the Universiteit Utrecht in the Netherlands. After clerking with Madam Justice Beverly McLachlin (now Chief Justice) at the Supreme Court of Canada, he articled with John McAlpine, Q.C. and was called to British Columbia Bar in 1999. For the past nine years, Craig has worked as a litigator with the Department of Justice Canada, practising in various areas of civil litigation. He has training in and experience with a range of forms of alternative dispute resolution, including mediation and negotiation. Craig also has relevant experience in business, government, construction and the non-profit sector. Craig is a founding Board member of Access Pro Bono, one of Canada’s leading non-government providers of free legal services. Nora Gambioli first joined Council in 2011 and was re-elected in 2018 for her third term as councillor. Nora has deep roots in West Vancouver. Since the early 1920s, four generations of her family have lived here. She has a strong interest in the community, and much of her life has already been devoted to public service. For more than 25 years, Nora has served on boards, committees and working groups in West Vancouver, including West Vancouver Streamkeeper Society (2010-present), Climate Action Working Group (2009-2010), Parks and Environment Advisory Committee (2003-2006), West Vancouver Community Days Committee (1985-2001). She is currently serving on the Invasive Plants Working Group. A graduate of Gleneagles Elementary, West Vancouver Secondary, UBC and Dalhousie, Nora’s early career included teaching secondary school science in West Vancouver and owning her own education business. She has worked abroad as a teacher and lawyer and has spent much of her career in the non-profit sector—as a Project Manager for the Law Courts Education Society of BC and Executive Director of the Canadian Breast Cancer Network in Ottawa. As such, Nora has spent many successful years managing budgets, staff and public money. Nora will support policies that maximize value and services for tax dollars, ensure thoughtful development of land and infrastructure, protect, restore and defend the natural environment, and encourage a strong sense of community for residents of all ages. 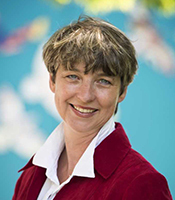 She is an open-minded listener, and an advocate for West Vancouver who will work with the community, staff and stakeholders to find creative and cost-effective solutions. Nora now lives in Ambleside with her husband and their two children. Peter Lambur first joined Council after winning the 2016 by-election. Peter was re-elected in 2018 for his first full term as a councillor. He previously served as Vice-Chair of the Community Engagement Committee and as a citizen member of the Strategic Planning Working Group. A West Vancouver resident since 1992, Peter lives in Ambleside with his wife Rebecca Black and their two dogs, Roco and Tasha. An architect and planner, Peter has been an advocate for citizen involvement in neighbourhood planning and sustainable design practices throughout his career. His first project on the North Shore was the Pacific Environmental Science Centre (1994) and most recently, the new Emily Carr University Campus in Vancouver (completed in 2017). On Council, Peter has devoted much of his time to the new Official Community Plan. He was recently appointed as the Council representative to the new Neighbourhood Character Working Group tasked with developing policies that respect neighbourhood character and minimize impacts of new development in single-family residential areas. 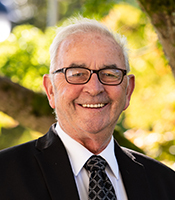 Bill Soprovich returns for his eighth consecutive term as councillor after being re-elected in 2018. 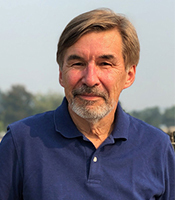 During his years on Council, he has served on a number of advisory committees, including Design, Planning, Heritage, Community Services and Parks and Recreation. Other committees that Councillor Soprovich has served on include the Recreation Facilities Planning Select Committee, the Task Force on Horseshoe Bay and the BC Ferries Terminal Expansion and the West Vancouver Arts Council Committee. He has also served on numerous joint North Shore committees, such as the North Shore Emergency Committee and the Family Court and Youth Justice Committee. 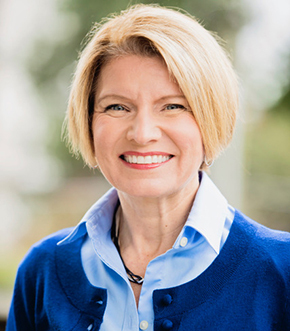 Councillor Soprovich served on the GVRD’s Administrative and Intergovernmental Committee and has also participated extensively as the West Vancouver liaison on the Howe Sound Community Forum. Councillor Soprovich has worked and lived in West Vancouver for over 40 years and has been involved in community service as a volunteer and member of various committees for more than half of that time. 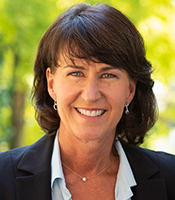 West Vancouver resident Sharon Thompson is new to Council, elected in 2018. Sharon works as the constituency assistant for the Liberal MLA in the West Vancouver Sea-to-Sky riding. She has a degree in Urban Studies from the University of British Columbia and a diploma in Civic Engagement and Dialogue from Simon Fraser University. 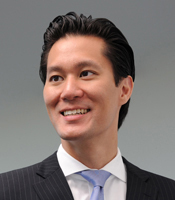 A long-time West Vancouver resident, Marcus Wong is new to Council, elected in 2018. A strong believer in the importance of vibrant, safe, and inclusive communities, Marcus brings to Council his background in governance, public policy, and community leadership. He currently sits on the boards of the North Shore Multicultural Society and the West Vancouver Track & Field Club. He recently retired from the West Vancouver Police Board and as a provincially-appointed tribunal adjudicator. He has served on the boards of the BC Association of Police Boards, Canadian Association of Police Governance, Pacific Baroque Orchestra, Queen’s University Alumni Association, BC Luge Association, Richmond Art Gallery, University Council of Queen’s University and Senate of the University of Birmingham. He is a member of the Institute of Corporate Directors. Marcus is the CEO of AURUS Athletica Inc. He gained experience working for the Canadian Olympic Committee and Embassy of Canada in Washington, DC, helping to strengthen relationships with the International Olympic Committee, World Olympians Association, Olympians Canada, and United States Congress. Marcus has also been the primary media spokesperson for a major utility company and a communications advisor to provincial cabinet ministers. He was awarded the Sovereign’s Medal for Volunteers by the Governor General of Canada and the West Vancouver Police Centennial Medal. Mayor and Council have determined seven priorities for the District to focus on throughout their term from 2014 to 2018.